180 Medical enjoyed attending the Multiple Sclerosis Society at a local MS Walk in Oklahoma City this morning. Over 125 of us braved the brisk temperatures with our families and friends to show our support for the cause. Employees raised money and attended this event today in honor of all of our customers impacted by multiple sclerosis and do our part to help end MS! The National Multiple Sclerosis Society helps people address the challenges of living with MS through their 50-state network of chapters. The Society helps people affected by MS by funding cutting-edge research, driving change through advocacy, facilitating professional education, and providing programs and services that help people with MS and their families move their lives forward. 180 Medical loves to support the National Multiple Sclerosis Society by taking part in the annual MS Walk in our local community. We love to take part in local community programs and events to support various causes. 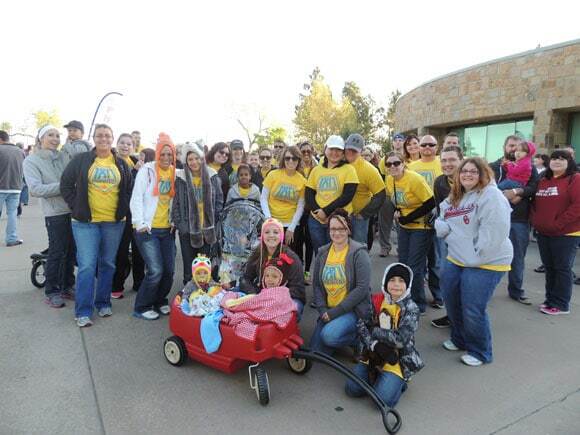 Find out more about the MS Society’s Oklahoma City MS Walk of 2014 here!